Tech, innovation, Internet of Things and subscription economy are key building blocks for a new way of doing business. More and more companies realize that you have to start thinking about new pathways to take on both changed behaviors and the benefits that rapid technology development creates. But few know exactly how to move forward. Come and listen to experts in the field telling us about the success factors in sharing economies, how to utilize the opportunities created by technology development and how to get five companies from widely different industries to deliver on a joint project. 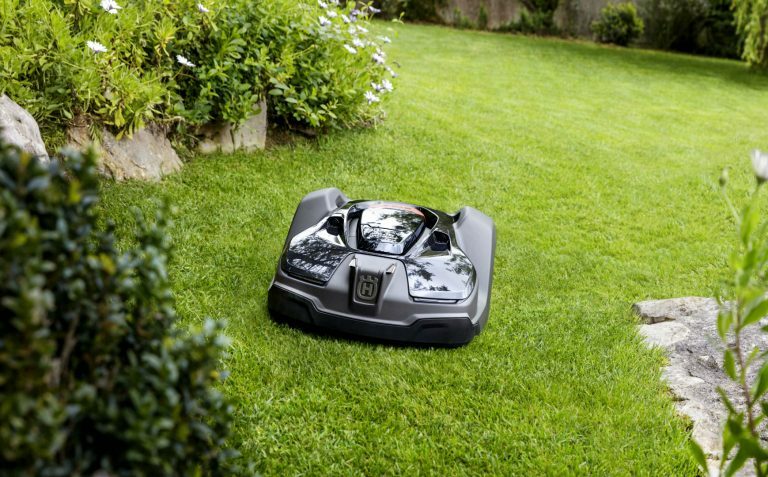 A successful example is Husqvarna Battery Box – a solution that created high customer satisfaction and has the potential to completely change the future way to fix the garden. Husqvarna, together with Telenor Connexion, HiQ, Flex and Zuora, has developed Husqvarna Battery Box, an online toolbase where individuals can easily rent tools throughout the day. We tell you how we went from idea to finished solution in six months. We will also share experiences from how to work successfully in an ecosystem with other companies and how this can give rise to new ideas, products and services. The seminar will also address major issues such as: How long is it sustainable to consume as we do? How can companies drive behavioral change? What future opportunities will be provided with the Internet of Things? Save your seat and sign up today! Registrera dig och mingla – vi bjuder på en energiboost! Husqvarna ger en beskrivning av hur Husqvarna Battery Box blev till, hur den möter kundernas behov och vad Husqvarna lärde oss på vägen. Talare: Pavel Hajman, Senior Vice President, Group Digital, Operations & Technology Development, Husqvarna och Margaretha Finnstedt, Global Director PR & Brand innovation, Co-creator of Husqvarna Battery Box, Husqvarna. 16.25 Skapa möjligheter till affärsutveckling genom teknikutveckling. I rådande tider krävs kreativa digitala tjänster, men för att utveckla organisation och affärsmodell i samma takt krävs systematiska angreppssätt. Talare: Lars Stugemo, CEO och Magnus Gens, Affärsutvecklingschef, HiQ. Paneldebatt kring delningsekonomi, digitalisering och vad som kommer att ske framåt. 17.00 Mingel, lättare mat och live-band! 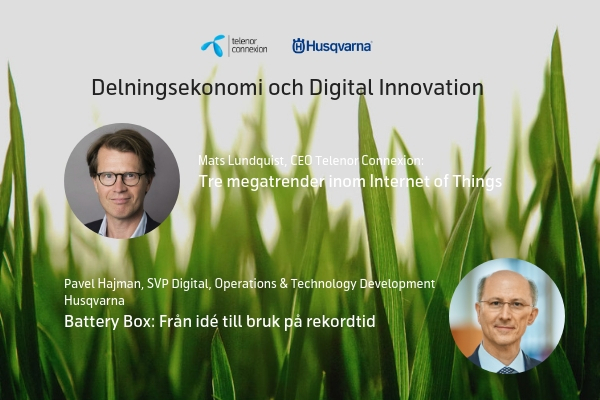 The event is arranged by Telenor Connexion, Husqvarna, HiQ, Flex, Zuora. Want to read more? Check out our IoT customer case with Husqvarna!